With its hard, scaly exterior and rubbery looking neck, the gooseneck barnacle seems like an unlikely candidate for the next food craze. Yet the tasty little crustacean is the subject of ongoing aquaculture research as scientists in the United States push to develop new harvestable species for sustainable seafood. The United States is a world leader in aquaculture technology, yet the country remains a minor player in production. According to the US National Oceanic and Atmospheric Administration (NOAA), a whopping 91 percent by value of the seafood consumed in the country is imported. Hoping to spur the development of sustainable marine and coastal aquaculture, NOAA has released US $9.3-million in grants. Gooseneck barnacles have a mild salty-sweet, nutty flavor. The creatures are a delicacy in Portugal and Spain, and have been eaten by First Nations on the west coast of Canada for millennia. The barnacles only grow in rugged areas attached to rocky outcroppings that are often covered by water and powerful currents for weeks at a time. When the moon cycle allows, harvesters scramble to quickly scrape the barnacles free from the slippery, sharp rocks before the rising tide covers the largest and fattest specimens. The chances of slipping and ending up awash in the surf are high, but harvesters consider it worth the risk to bring their catch to market. But overfishing has caused wild stocks to dwindle, sending the price of the finger-sized crustacean shooting up to lobster-like levels. In a study, University of Oregon marine biologist Alan Shanks found that even a short-term commercial harvest in the state would quickly wipe out the slow-growing adult population. Yet for Shanks, the shifting economics presented an opportunity. With one of NOAA’s grants in hand, he set out to see if he could turn the barnacle into a viable candidate for terrestrial aquaculture. Goosenecks have not been raised in captivity before because, it was thought, raising juvenile barnacles requires forceful flows of seawater that simulate the motion of waves. It’s a costly set of conditions to reproduce, putting a big dent in any potential profits. Yet while observing a cluster of barnacles at the University of Oregon aquarium, Shanks saw that the barnacles were living right next to the tank’s air bubbler. They didn’t actually need expensive mock waves to thrive, he realized, they just need air bubbles. In follow-up research, Shanks showed that he could economically grow gooseneck barnacles in the lab. Shanks’s discovery demonstrates that there’s a cheaper, easier, safer, and more sustainable way to collect this delicacy. The biggest challenge now is convincing Americans to try the odd-looking barnacles, Shanks says. Most beachgoers would never recognize the crusty brown crustaceans, which spend their days clinging to rocks, as food, let alone a delicacy. 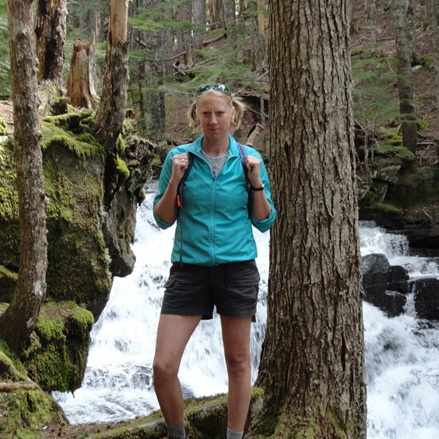 Heather Wiedenhoft is a scientist and freelance writer with a passion for the outdoors. Her research has led to peer-reviewed publications in Cell Journal, Harmful Algae, and Frontiers in Neuroscience. Her freelance writing focuses on marine ecosystems, and has been published in Fisheries Magazine, Aquaculture North America, and National Fisherman. When she is not making discoveries in the lab or crafting on her computer, you can find her exploring the backwoods of Oregon. Cite this Article: Heather Wiedenhoft “Budding Barnacle Bonanza,” Hakai Magazine, Apr 16, 2018, accessed April 26th, 2019, https://www.hakaimagazine.com/news/budding-barnacle-bonanza/. How shellfish farmers are leaning on genes to unmask the secrets of mussels, scallops, and oysters.